This is my last post in this KL Series. Well, I have been in Malaysia for almost two weeks now. Dad’s funeral was exactly a week ago and I will be saying goodbye to everyone the next day. I wanted to visit his grave before I leave for home, to say goodbye for one more time. After the visit, the entire family drove to Kajang for Satay (or Sate in Malay). The Kajang town is famous for its Satay. During that week I was there, there was a local food show called Hojiak which showcased Haji Samuri Satay — purportedly the original Satay in Kajang. It was quite a drive from Cheras to Kajang. I was quite surprised how easy it is to locate this place. I was told that it is by the stadium. So, I just looked out for the stadium’s floodlight towers. I remember having Kajang Satay in somewhat dilapidated stalls. Am glad to see that they now operate in a proper building. The best thing is that they now have air-conditioned dining halls. The place, although not plush, is really a fantastic change. It certainly is a more comfortable environment. They have even decorated the place with antique pieces. Satay had been known to have originated from Indonesia but for many Malaysians, they are adamant that it is a very Malaysian meal. Satay are normally eaten for dinner. They consists of simply chunks of meat on skewers and grilled over coal fire. 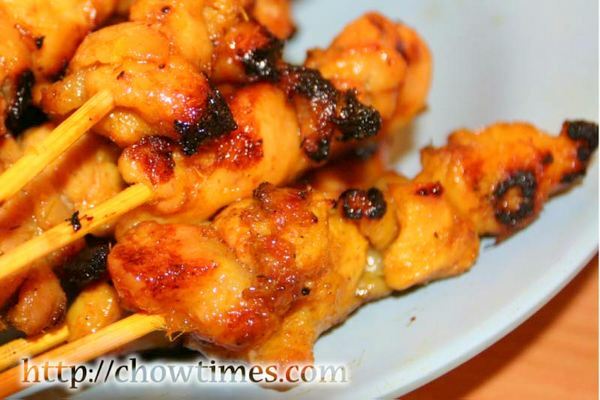 The most common Satay meat is chicken although there are beef, lamb and even rabbit meat. 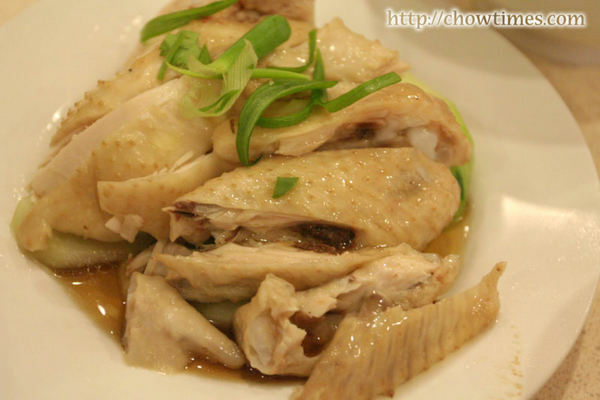 Chicken is still many people’s favourite though because it’s juicier and moist. I met up with my close friends from the Boys Brigade days for dinner. I bet a lot of people have never heard of the Boys Brigade, or better known as the BB. The BB is the first uniformed boys organization in the world and is the precursor to the Boys Scouts. Baden Powell was a BB officer before he started the Scouts movement. 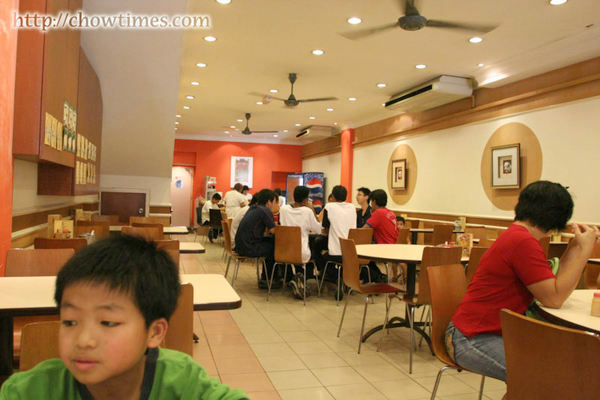 I met up with Sing Yuen, Kwai Nam, Lawrence, Peter and Wendy at the Kayu Restaurant in SS2. 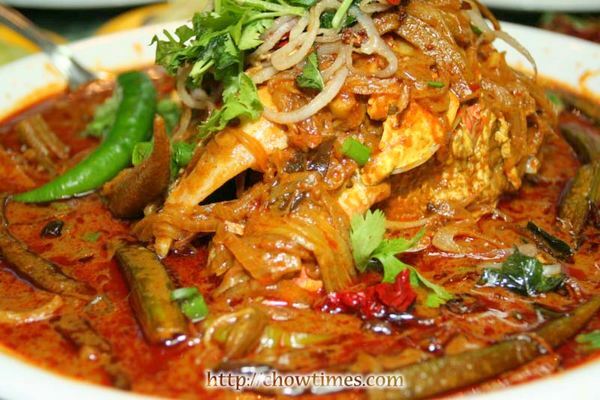 They asked what I wanted to eat and I suggest Curry Fish Head (or Fish Head Curry if you like). 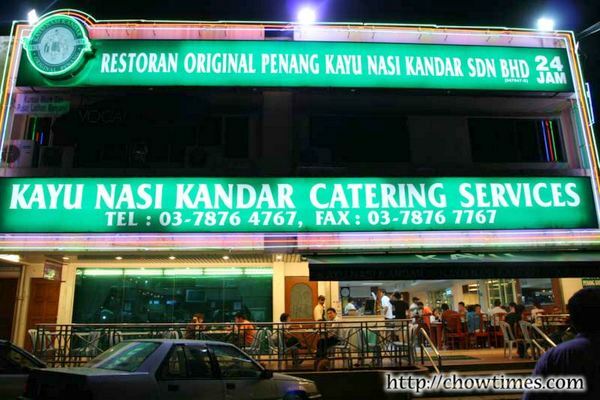 The Kayu Restaurant is famous for their Nasi Kandar which is a specialty dish from the city of Penang in Malaysia. They even had an outlet in Melbourne, Australia. It was great meeting up with them again. We grew up together in the BB which were the centre of our lives during our teens and early adult days. Back to food. The centre piece of today’s meal is the curry fish head. I had always loved curry fish head which I distinctly remember was introduced to me by my dad when he brought me to the place at the Stadium Merdeka. I am not sure if that place is still opened. I think the fish is a Red Snapper. No body, just the head. You might think what is there to eat on the head. You know that this is the part where the best flesh is. Half the fun is taking the fish apart and finding that delicious piece of meat hidden underneath the head. 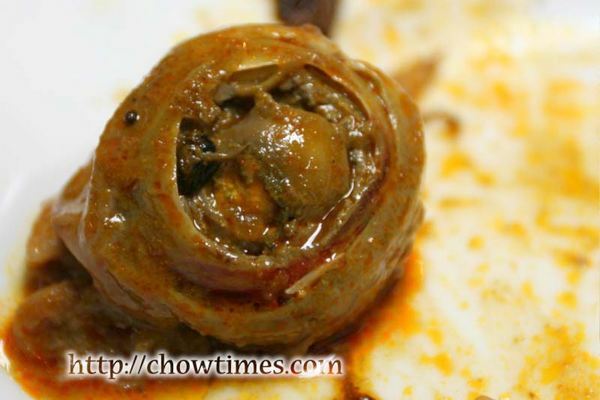 The ultimate part of the curry fish head is the eyeball! It looked gross. No one on our table took it but trust me, some people actually like this. 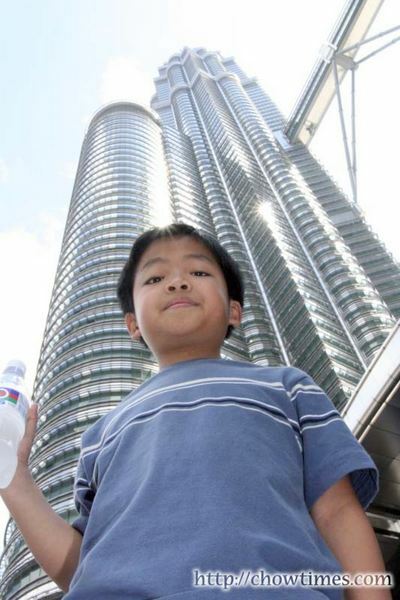 I brought Nanzaro to visit the Petronas Twin Towers. He wanted to go up the middle span which I had blogged on about two months ago. Unfortunately we did not get the chance to get up to the towers because the tickets for the day had all been issued. Too bad. Nanzaro said that he wanted sushi. 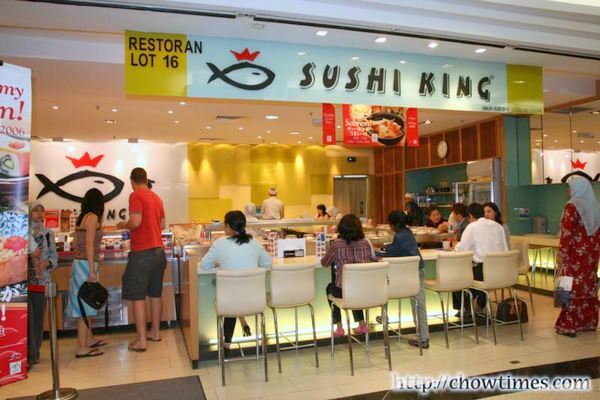 We went around looking for one and found a Sushi King outlet in the KLCC Suria food court. There are dozen of Sushi Kings all over Malaysia and is perhaps the most popular chain of sushi restaurant in the country. 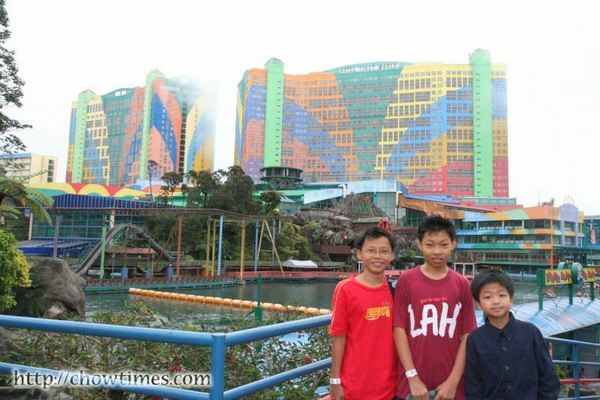 I brought Nanzaro and his two cousins, Zhen Yiong and Shen Ern, to the mountain resort of Genting Highlands. I am surprised that Nanzaro had got on so well with his two cousins because the last he saw them was when he was only four. Genting Highlands is about an hour drive away from KL. Since I do not have a car to get around, we decided we take a bus and cable car to the resort. Genting Highlands is famous for its casino. As a matter of fact Genting Highlands existed purely from the casino. However, it is also here that the biggest theme park is located. 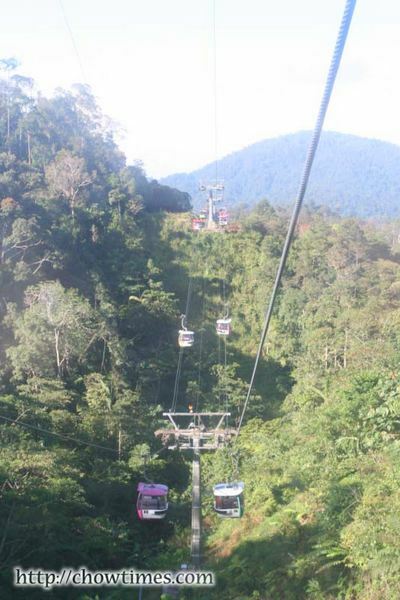 The cable car ride (called the Genting SkyWay) was spectacular with breathtaking view of the surrounding mountain and thick rainforest. On a clear day, one can even see KL from the gondolas. Genting Highlands had the largest hotel in the world with over 6000 rooms (bigger than the MGM in Las Vegas). The two colourful hotel blocks is known as the First World Hotel. We were there primarily for the theme park and, of course, the food. 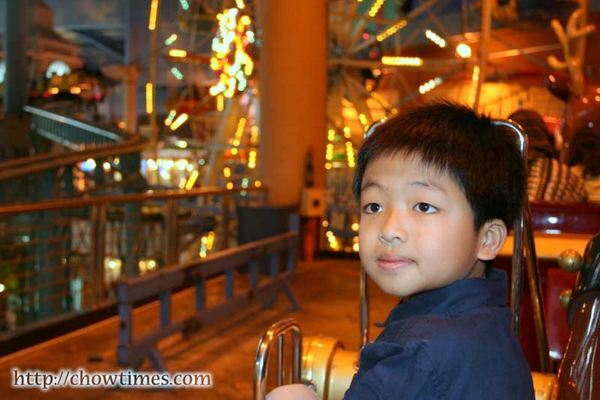 There are basically two theme parks — simply called the Outdoor Theme Park and the Indoor Theme Park. We bought passes to both theme parks. Nanzaro enjoyed himself and was the leader for the day, dictating to his older cousins what they are going to ride next. The Indoor Theme Park was impressive and much bigger than I thought. There is even an indoor roller coaster there — it was the boys favourite as they went on the same roller coaster a few times. The lines were not too bad with waits of about 10 minutes (I remember some of Disneyland’s wait times were 60 minutes!). 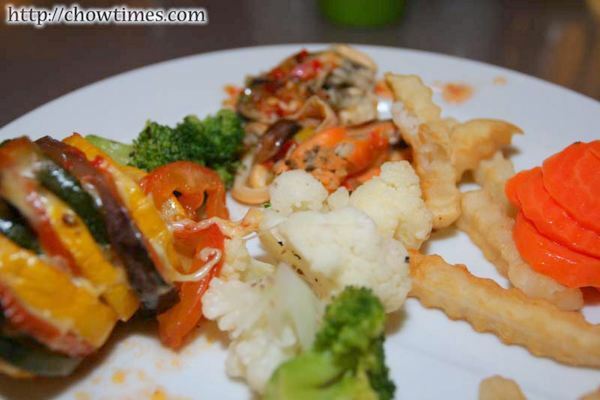 There were also a lot of very nice food outlets throughout the resort. Why, there were five buffet outlets too. 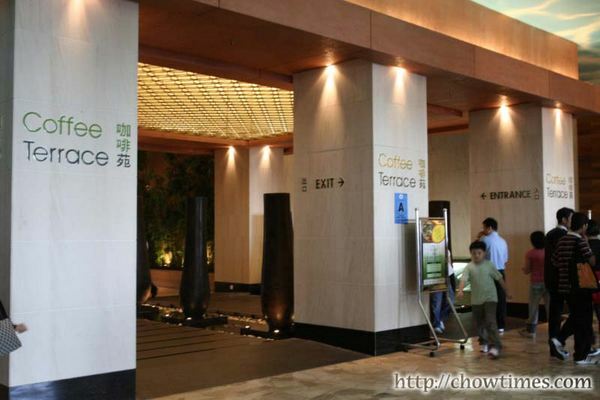 I decided to go for the grandest of the five buffet at the Coffee Terrace. 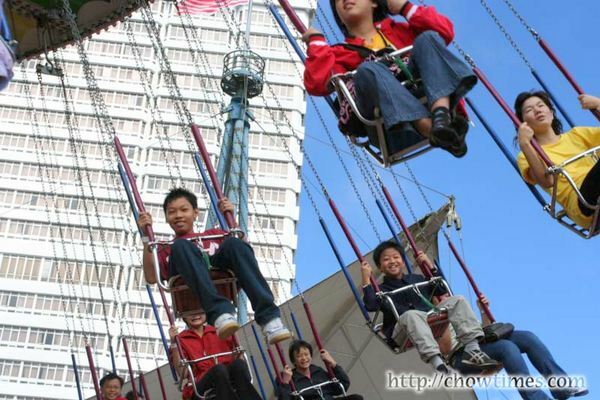 Adults costs about RM42 (less than CAD$15) each with kids under 12 at 50% discount. The ambiance in the restaurant was nice and the place spacious and clean. It was certainly worth the price they charged. The buffet is not one of those places with a table spread. Rather, they had sections specializing in certain types of food with cooks/chefs preparing them on order. I did not know where to start and just went to the closest counter and took some from the Western counter. My sister brought the entire family for a crab dinner. She told us that the Tak Fok restaurant in Manjalara is so popular that there is always a long wait for tables. We decided to go very early so that we do not have to deal with the crowd. That place was packed alright. The tables and chairs are placed so close to one another that there are hardly any room to move. We believe that what makes this place popular is that it’s cheap (RM 18 or CAD$6 per kilogram). They specialize in crabs and have quite a few varieties of preparation which I had never heard of. My sister did the ordering. 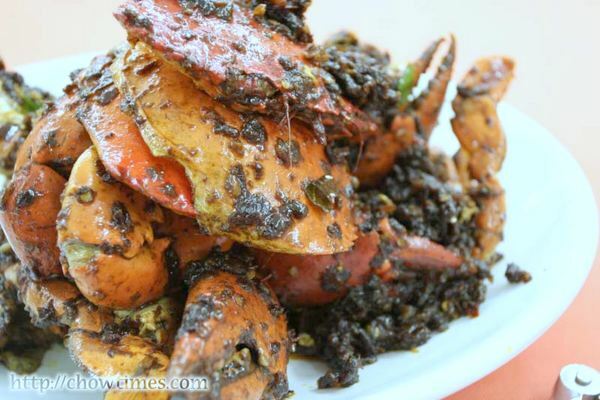 I had no idea what the crab dish below is called. 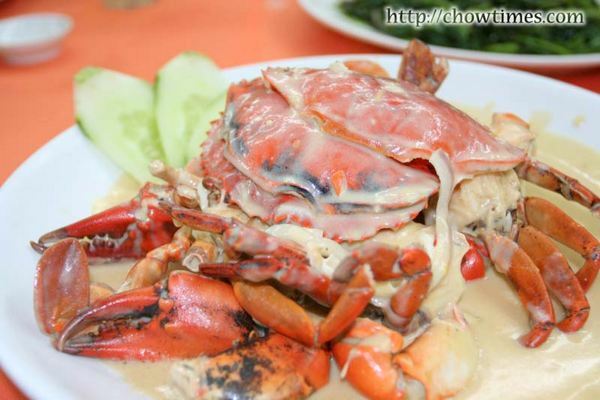 If I hazard a guess I would say this is kam heong style crab. The claws is my favourite part. It is the fleshiest. The kam heong, you know the whatmachacallit dark pieces below, is best with plain steamed rice. I have never seen this type of crab dish before. My sister translated this to be butter-cheese crab. The yellowish thick gravy looks really good and smells really nice. The day after dad’s funeral, my in-laws treated Nanzaro and I to a Yong Tau Foo dinner in a restaurant nearby Sri Damansara in Manjalara. The last time I was in Malaysia, I did not get the chance to go for this. So, I was glad when my brother-in-law suggested this. Yong Tau Foo is a very Chinese Malaysian dish. I don’t think this is served in anywhere outside of Malaysia. Malaysia has a big Hakka community and this is one of their invention. 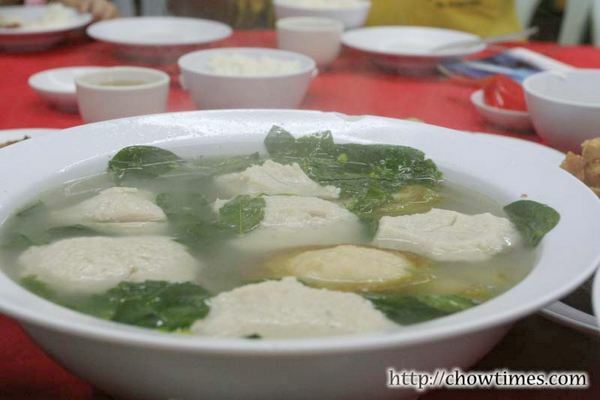 Yong Tau Foo refers to the original stuff bean curd. The stuffing used are mostly fish paste but there are some which used pork as stuffing. 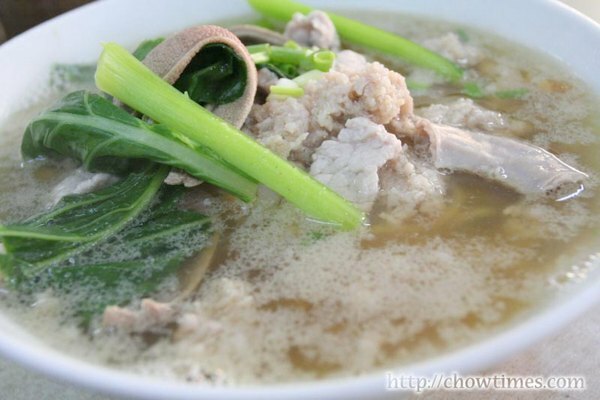 The most common Yong Tau Foo is the one you see below. 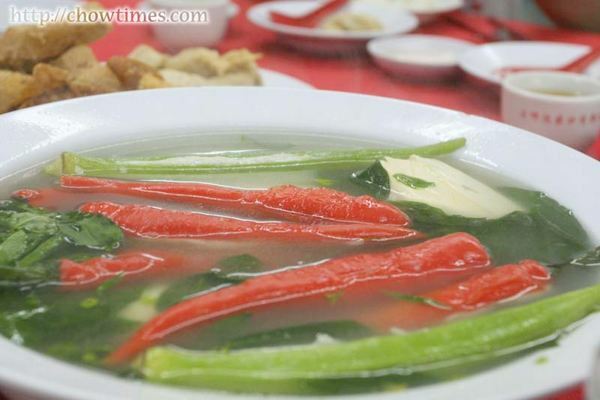 In this bowl, there are stuffed bean curd, okra and chilli pepper and is served with clear broth. I enjoyed the hot chili pepper especially. One thing about the okra (known as lady’s fingers in Malaysia) is that the seeds does not digest, if you know what I mean. Then there is the plain fish paste. The green ones below is stuffed bitter gourd. I don’t like the bitter gourd at all — never did and never will. I can’t understand why anyone likes anything this bitter. There is also fried ones. You can’t figure this out clearly but the ones with the dark outline is another of my fav. It’s the fried eggplant sandwiched with fish paste. 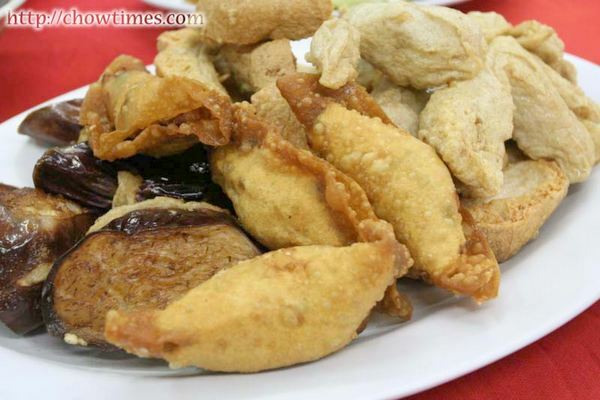 The others are plain fried fish paste and fried wonton. After the Hainese Chicken Rice, Nanzaro and I went for a walk in Chinatown. 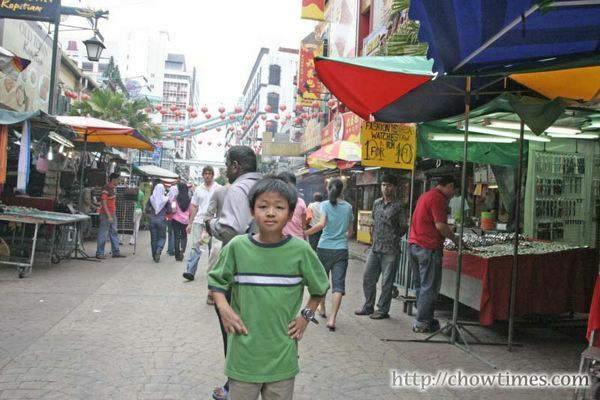 Chinatown is better know as Petaling Street or Chee Cheong Gai in Cantonese. This place a must-go place for tourists. This is where you could get a Rolex for only $10. The whole street is not closed to traffic and is lined with stalls. Every other stall sells counterfeit products — clothings, watches, DVD movies, perfume. It is also where some of the best chinese food are found. We went to the Kiew Brothers shop to get some dried meat. Many swear that Kiew Brothers has the best dried meat in the country. In Cantonese, they are known as “woh lai yeh” which simply translates to “here I come”. I can’t figure why that name but if you say those words, everyone will know what you mean. They BBQ the meats in front of the shop and has a big fan that blows the smoke out to the street. You can smell the aroma around the vicinity of the area. I remembered that before I left Malaysia for Canada, I went on an eating binge, if you may, at my favourite restaurant … one of them was Nam Heong. 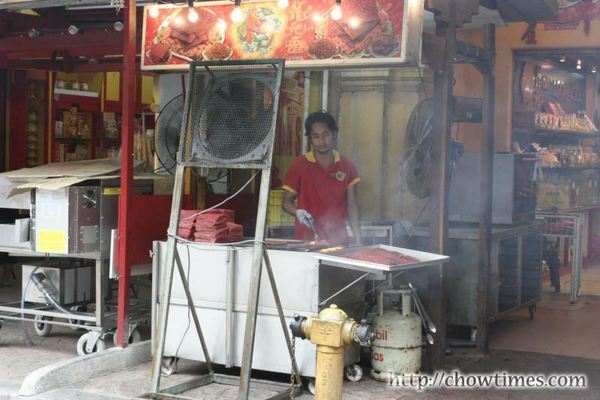 They had been a fixture in KL’s Chinatown for over 60 years — since 1938. 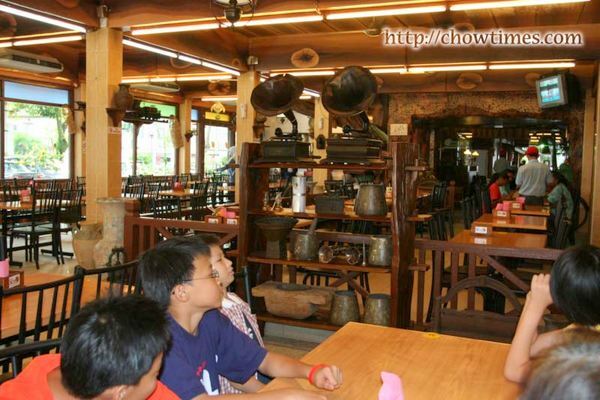 They are known for their Hainanese Chicken Rice. To me they had the best Hainanese Chicken Rice in the world, no kidding! 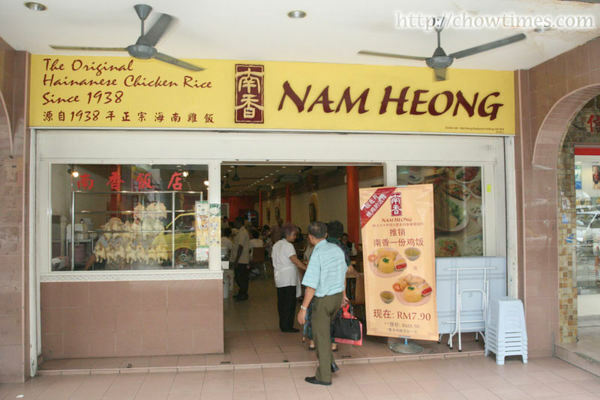 Nam Heong is located in KL’s Chinatown, specifically on Jalan Sultan. This was also dad’s favourite restaurant too. When I was in my primary school, my Saturday routine was to take a bus to the public library (I was a prolific reader then) in the morning and then join my dad for lunch. That was our only private time. I enjoyed it a lot. On my visit this time with Nanzaro, I was somewhat shocked that it is entirely different. This restaurant had changed so much. In the old days this place was a complete chaos. There were no air conditioning with nary a service. But today, it is all modern and upgraded now. It is certainly much more comfortable. What I noticed glaringly is the absence of a crowd. 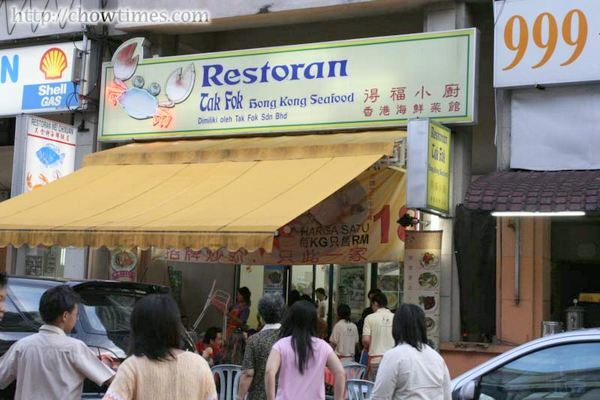 It was later that learnt that privately owned Nam Heong restaurant had been sold to the Esquire Kitchen group for RM 5 million. Esquire Kitchen used that Nam Heong brand and opened up more restaurants across the city. The familiar homemade sauces are still there on each table. 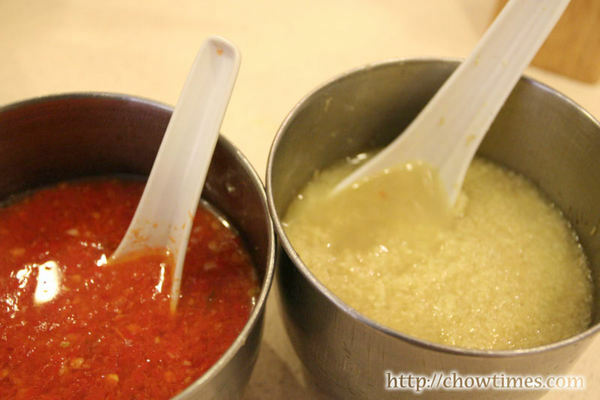 They make great chilli and ginger sauces and it is great with the chicken rice. in the old days, they were filled on old glass jars. Oh I love their chilli. I knew Nanzaro would like the Hainanese Chicken. You are able to specify the part that you want. When I was young, I could gobble up two servings. The chicken looked the same with that perfect amount of sweet soya sauce that gives this dish the distinct flavour. My sister-in-law is a prolific cook. When I was in Malaysia two months ago, she cooked up a storm. This time it was not any different. I love this kind of cooking — it is exactly the same type of food that mum cooks. I really don’t know what these dishes are called and so I will just describe them. 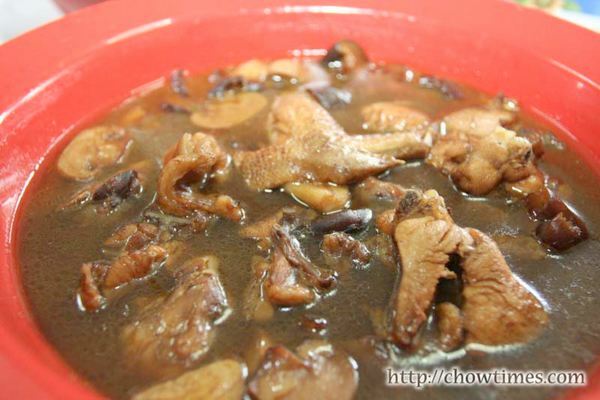 This one below is chicken and mushroom. What I like best about this is the sweet soya gravy. There is only one way to eat this … to drown the rice with the gravy. This is so good that sometimes I just had the gravy with rice only. Mum also makes this simple dish very often. It is long beans omelette. 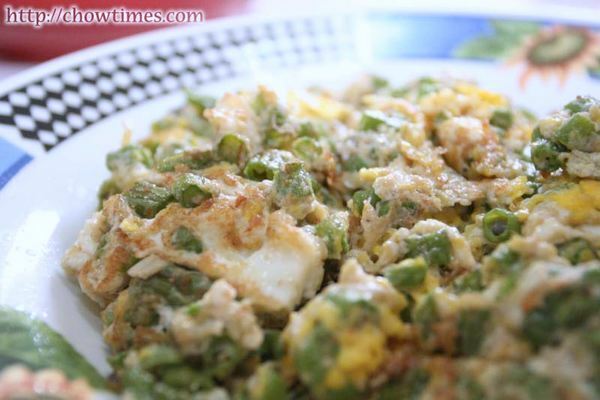 The long beans is diced into small pieces and then fried with eggs and soya sauce. The soya sauce give this dish a thinge of saltiness. First morning in Kuala Lumpur. After the funeral service the night before, it was really quiet around the house. We don’t expect any visitors until around afternoon. 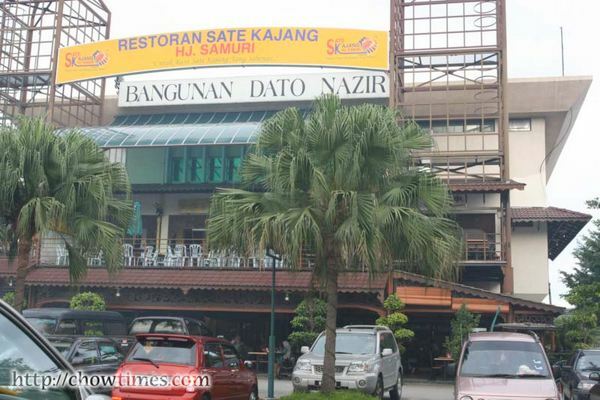 So, brought Nanzaro to downtown Kuala Lumpur to look for this place Suanne and I used to go for breakfast in Jalan Imbi. We enjoyed this coffee shop (I can’t recall the name but I do know how to get there) where we normally had nasi lemak. Unfortunately, the nasi lemak stall is no longer there. So, Nanzaro and I walked across the street to another coffee shop which is much more busier. I reckon that busier means better food. Nanzaro ordered the Chow Koay Teow (stir fried rice noodles) — the real deal Chow Koat Teow with See Harm (Cockles). 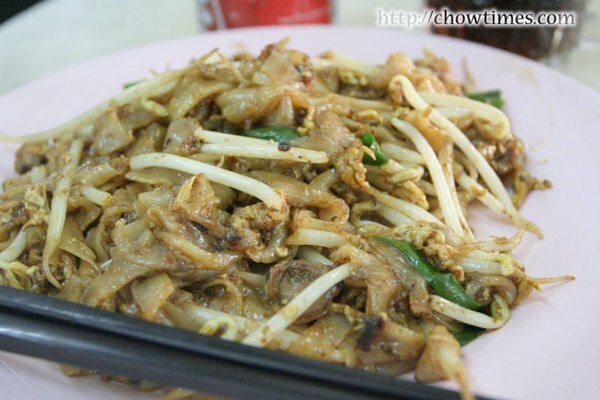 We get Chow Koay Teow in Vancouver — quite nice ones too but we don’t have fresh cockles. This was nice but the cockles were too small. For me, I had the Pork Soup Noodle. I had always yearned for this and is one of the top on my list of must eat in Malaysia. I like this with extra soya sauce and freshly cut chilli peppers. Yummy!